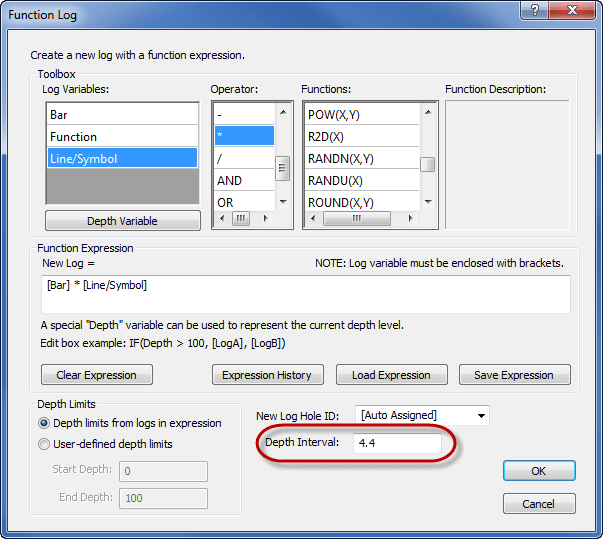 The Depth Interval in the Function Log dialog defines the resolution of the resulting function log. The depth interval is the depth increment between data points in the function log. If the input boreholes have thousands of rows of data, you probably want a pretty small depth increment between data points. This will preserve the detail of the original data. To retain all of the detail in the original log, check the original data to see what depth increment is used and enter a similar value for the Depth Interval for the function log. How can I convert the column headings in a Grapher worksheet from letters to numbers?